The Great Lakes Loons and the West Michigan Whitecaps will face off in the Midwest League Eastern Division finals, with the best-of-three series beginning Sunday at Dow Diamond. The Whitecaps advanced first by beating the South Bend Cubs 4-3 in 10 innings Saturday afternoon, in a resumed game that was postponed by rain in the top of the 8th inning Friday. Jose Azocar drove in the winning run in the top of the 10th. The Loons later beat the Bowling Green Hot Rods 5-2 in a game that was a one-run contest until the 7th inning. The Loons scored first on a Logan Landon RBI single in the top of the 1st inning. The Hot Rods took a 2-1 lead on a two-run homer by Landon Cray in the bottom of the 3rd inning. But that was all the scoring Bowling Green would do, whereas Great Lakes scored two runs in each of the 7th and 8th innings. The last two runs scored on a two-run homer by Gage Green. Also on Saturday, the Western Division finals began, with the Cedar Rapids Kernels taking Game 1 from the Clinton LumberKings by the score of 9-3. Down 3-1 in the middle of the 3rd inning, the Kernels scored a total of eight runs the next four times they came to bat. Christian Ibarra led the Kernels offense with a double, a home run, and four runs batted in. Travis Blankenhorn had three hits, a walk and an RBI for Cedar Rapids; he is 6-for-12 in the playoffs so far. 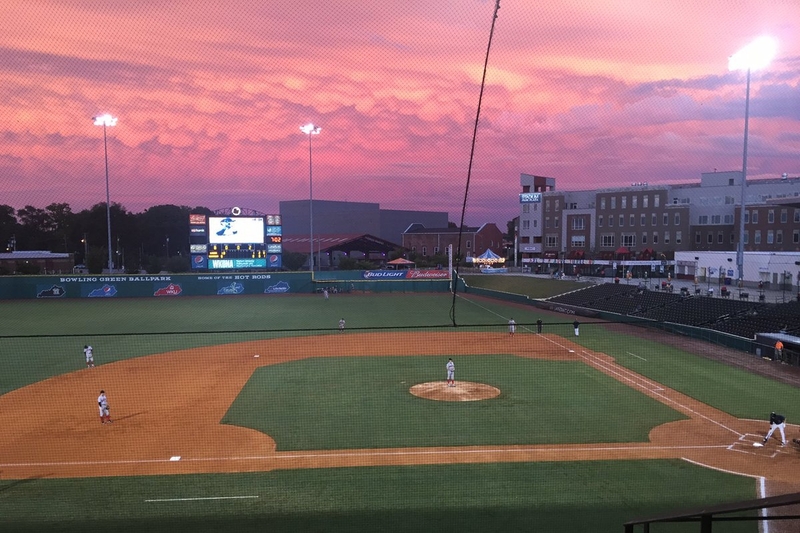 The second game of the best-of-three Western Division finals will be played at Clinton’s Ashford University Field on Sunday night. This entry was posted in 2016 Playoffs, Bowling Green Hot Rods, Cedar Rapids Kernels, Clinton LumberKings, Great Lakes Loons, Midwest League, South Bend Silver Hawks, West Michigan Whitecaps. Bookmark the permalink.